Hi, it's time I dropped in here to say hello! I finally got everything installed using DIM exclusively. 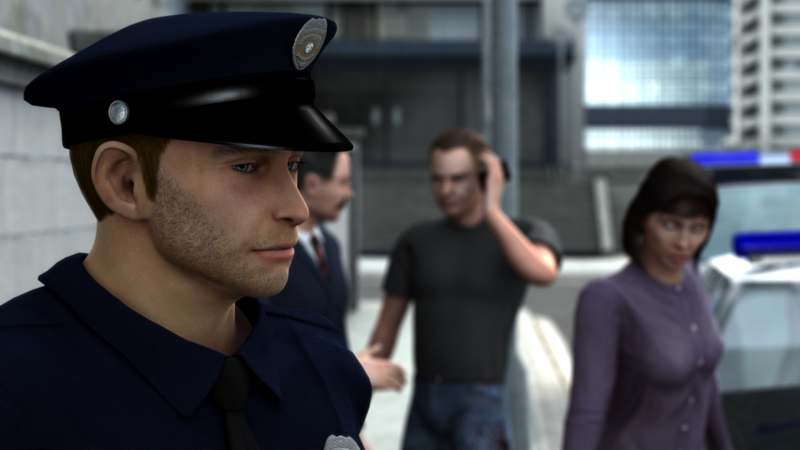 I'm playing around with the Genesis Police Officer uniform, and using Thomas for Michael 5 as the character. The hair is Buzzed for Genesis. The smile came from my Expression collection. Maybe the Police Officer uniform was made a bit tight? I wish the outfit came with a hat. Thanks, barbult! I have such a backlog of stuff that I hadn't even used yet... some of the stuff I bought back around the year 2000 even! Part of my goal is to use that stuff just for the sake of getting my money's worth. I get a cheap thrill just putting the character up there, dressing him/her, and using silly facial expressions or poses! Take care! Keep doing what makes you smile. Hey Sven Dullah! How're you doing? I'm just trying to catch up with the backlog of stuff I bought over the past 18 years. Thomas is an "out of the box" character made for both Michael 5 & Michael 4 (I think.) I hadn't done much with "Generation 4," let alone the various Genesis versions! 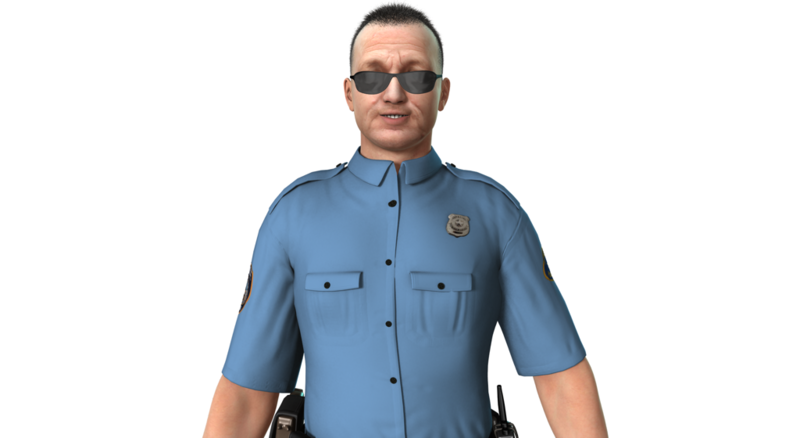 I was thinking of buying a bunch of cop stuff. Unfortunately I can't find a good Police Station interior... Just an interrogation room, holding cell, etc. First Bastion has a wonderful exterior Police Station scene, but I "want it all!" This is the M4 outfit I was thinking of, it works perfectly well on G1. I guess you have to kitbash together something for a police station interior, maybe maclean has something suitable? Sven Dullah, thanks for the info. Right now I'm trying to find some Zombie stuff.... I have a short attention span? Actually, I get an idea, hit a roadblock, and try another idea. Unfortunately, I keep hitting roadblocks! I don't have a police station interior, but I do have a jail. maclean! How're you doing? Long time no see!? I've added the jail to my wishlist. Have a wonderful day! Sorry, I just saw your reply now. Yes, I'm fine. Still around after all these years, and carrying on doing what I do. Good to see you on the forums. I've followed your recent posts, and I'm glad you haven't abandoned 3d yet. I'm sure it keeps many of us sane. Mac, I'm glad you're doing well. I've always been a fan. Over the decades, I've wandered away for Art, and wandered back. Over the past year, I was doing Genealogy (Family Tree) work, and reached a dead end. Now I'm back, and older! Sanity? What's That?